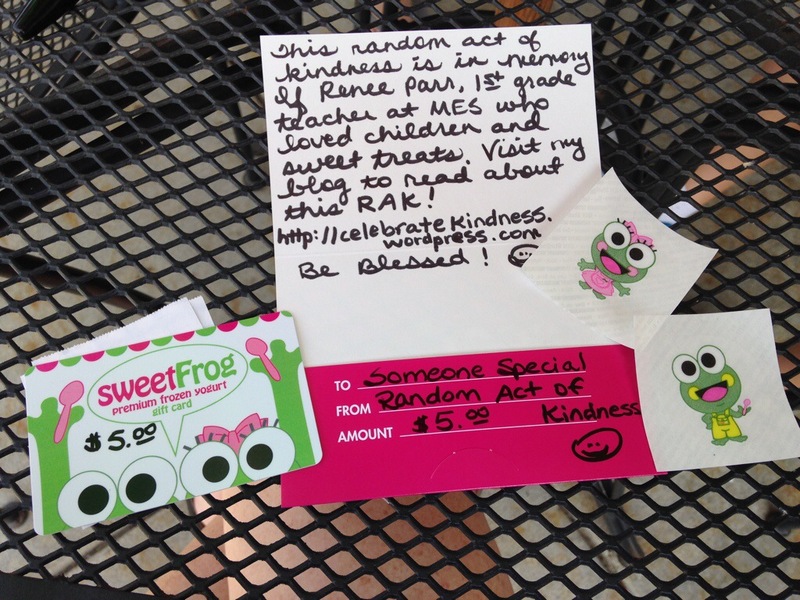 1 Response to "Random Act of Kindness – Sweet Treat for Renee"
We are the ones who recieved your precious gift card at sweetfrogs. 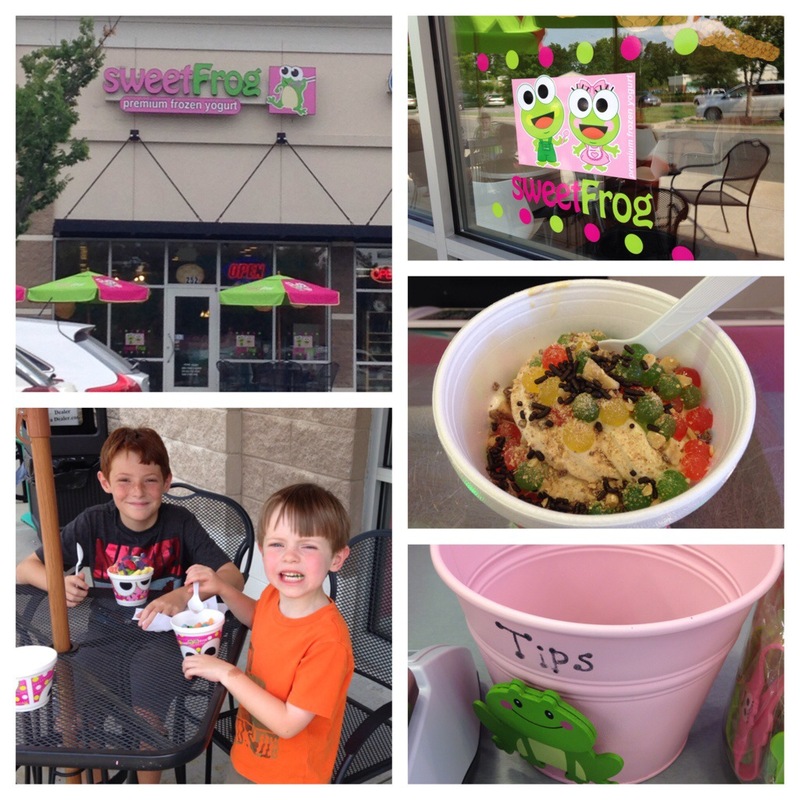 It was amazingly sweet and impressed the two 2nd graders with me! I wanted to letu know I have passed on the word of this great act and plan do do one of my own to pay it forward. Thanks so much for showing me people still do these things!! !